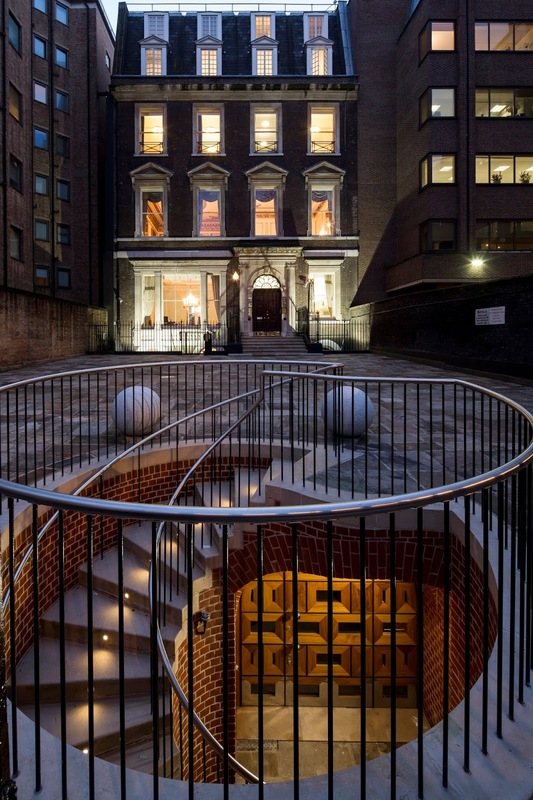 Our project at 21 Arlington Street next door to the Ritz Hotel, to refurbish the eighteenth century brick vaulted cellars below Leoni's Neo-Palladian mansion, is complete. 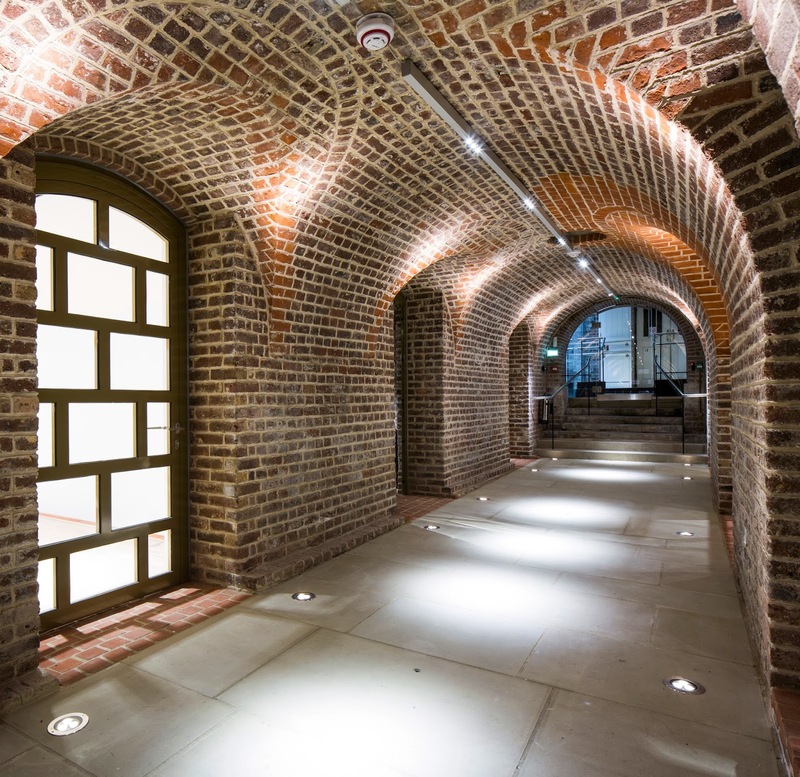 Seven light and airy office spaces with all supporting accommodation have been created. 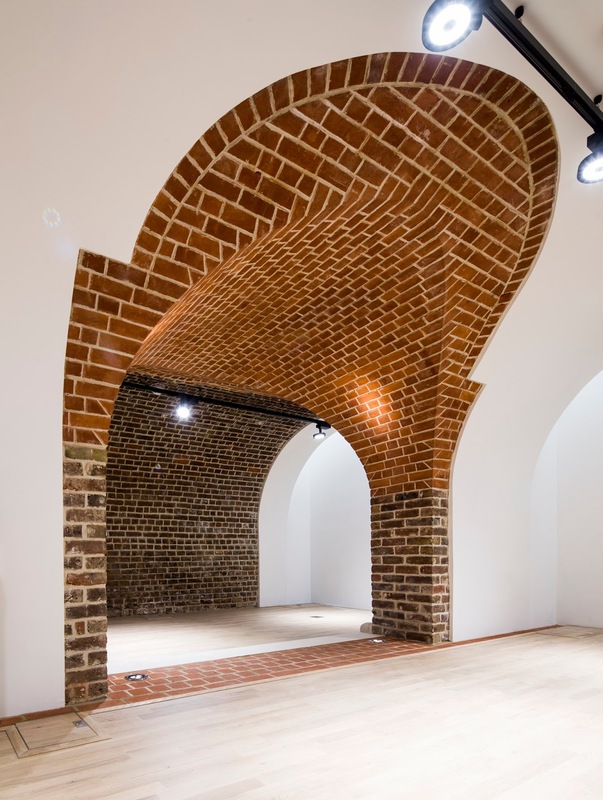 New brick cross-vaulted openings interconnecting existing spaces have been inserted. 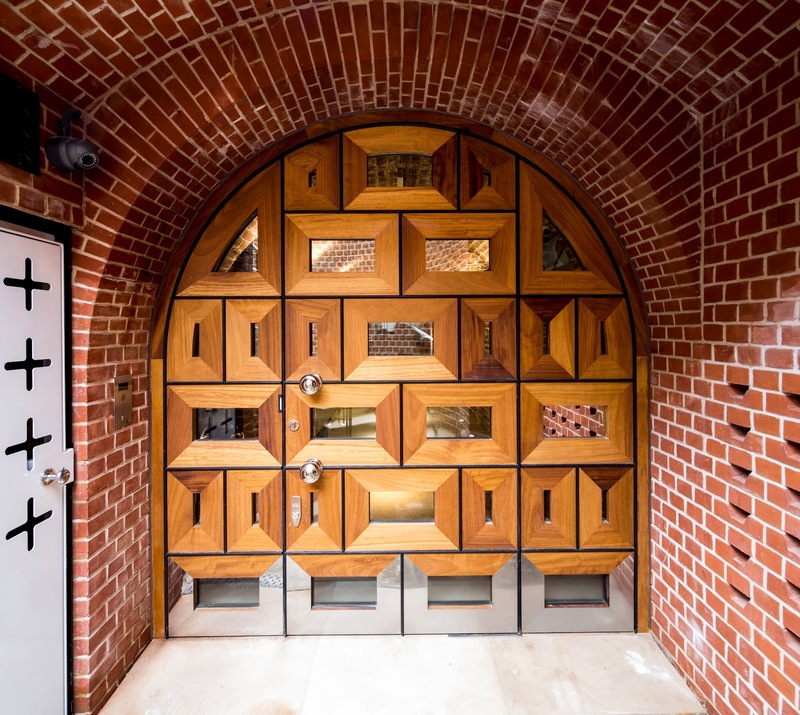 A highly crafted oak and wenge front door has been installed in a new brick vaulted opening with a new Portland stone spiral stair sunk into the Forecourt give the cellars their own independent entrance.